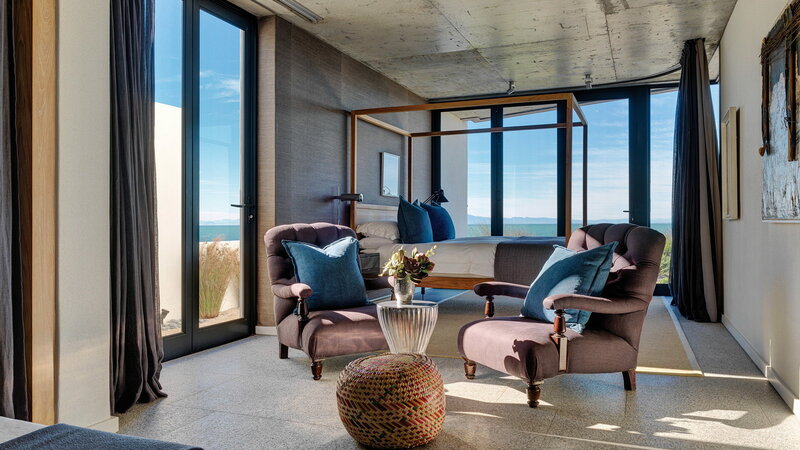 Silver Bay Villa is a beautiful self-catering villa designed by SAOTA and completed 2010. It is situated on the West Coast of South Africa. A wind protected courtyard houses a pool while a glass facade allows views of the Atlantic Ocean.